Why Rent when you can Own for Less?! 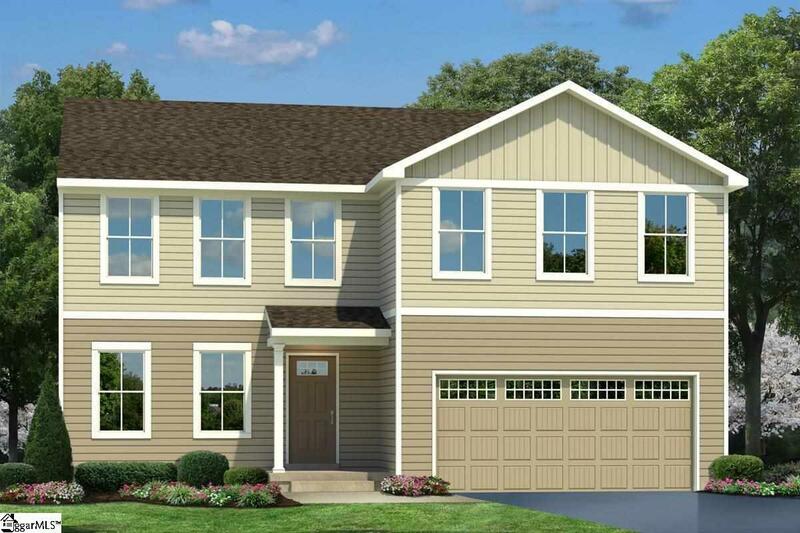 Be one of the first to call Oakland Farm home! You can now OWN an AFFORDABLE, EFFICIENT, NEW CONSTRUCTION HOME, and live minutes from work and play! Very close proximity to shopping, grocery stores, schools and restaurants! This is your chance to own a new home in the Boiling Springs area! Just because you want a lot of room to live doesnt mean youre willing to sacrifice style. Plan 2203 gives you both! The first floor is an innovative L-shape that allows for open design without sacrificing functionality. 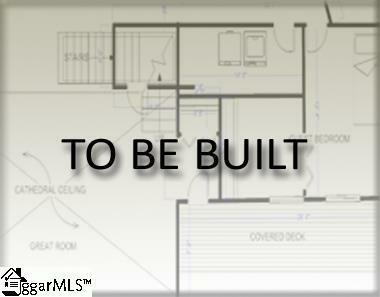 A large coat closet and powder room are conveniently placed off the foyer. The great room is an open plan but divides easily into separate living areas if youd like. You can have a formal dining area, a study, a playroom whatever your family needs. The dining area flows into a large and well-appointed kitchen that boasts ample cabinet and counter space, a COMPLETE kitchen appliance package, and an eat-at island that seats 3 easily. 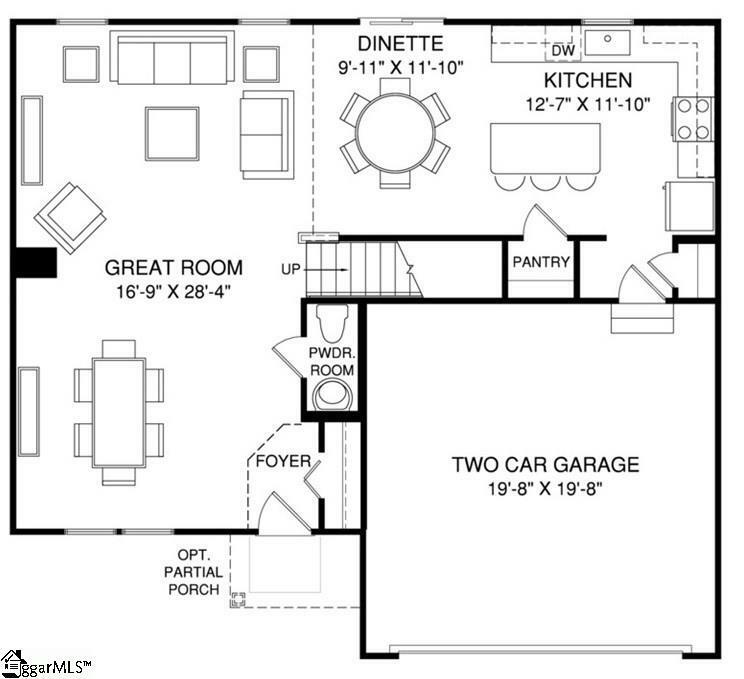 A family arrival center and second closet off the garage is conveniently located near the rear of the kitchen. 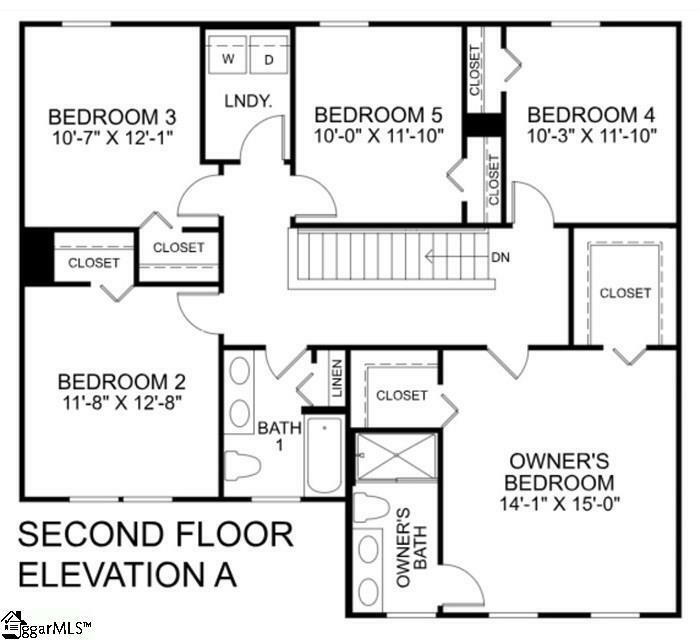 Upstairs five bedrooms provide all the room you need. The owners bedroom boasts an en suite bath that features a double bowl vanity with an oversized shower. The owners closet could truly be another room no worries about storage here! A guest bath, linen closet and laundry center (including a washer & dryer!) complete the upper level. This spacious home has everything you could want...5 large bedrooms- modern, open living spaces- plenty of storage- and tons of curb appeal. Listing provided courtesy of Lindsay Simpson of Ryan Homes. © 2019 Greater Greenville Association of Realtors Multiple Listing Service. All rights reserved. IDX information is provided exclusively for consumers' personal, non-commercial use and may not be used for any purpose other than to identify prospective properties consumers may be interested in purchasing. Information is deemed reliable but is not guaranteed accurate by the MLS or The Toates Team - Berkshire Hathaway HomeServices C. Dan Joyner. Data last updated 2019-04-23T16:01:12.757.